"The woman, believed to be in her 30s was quickly detained by officers before she gained access to the palace grounds," police said. She was arrested on suspicion of trespass and is being questioned at a central London police station. London: British police said they had arrested a woman who was trying to scale the front gates of Queen Elizabeth's Buckingham Palace home in central London on Saturday, saying the incident was not terrorism-related. "The incident is not being treated as terrorist-related," police said. British police are on high alert after five attacks blamed on terrorism this year. 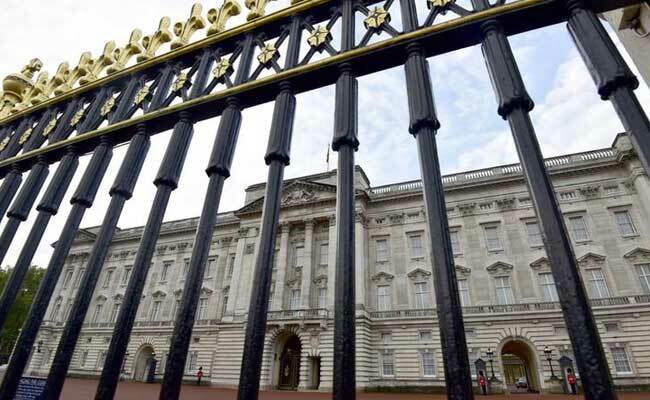 In August a man wielding a sword outside the palace was charged under terrorism laws. Three police officers suffered minor injuries detaining him. There have been a number of other incidents in recent years in which people have tried to get into the palace grounds. Last October, a 21-year-old man was arrested after scaling a gate of the palace. He was later detained under a hospital order. In May 2016, a man with a conviction for murder climbed over the wall and walked for about 10 minutes around the grounds of the palace before being arrested. He was jailed for four months. Four years ago, a man armed with a knife tried to enter through a gate and was later jailed for 16 months. A month earlier, two men were arrested following a break-in at the palace.